When it became apparent that the mighty 140-gun first rate Spanish ship-of-the-line Santisima Trinidad would not survive the raging storm that followed the Battle of Trafalgar in 1805 every effort was made to save those souls still alive on board. Officers and seamen were lowered with ropes from the stern and quarter galley windows as boats from nearby British warships came to rescue them. A lieutenant from HMS Ajax, whose boat was the last to leave the scene, reported, “Everything alive was taken out, down to the ship’s cat.” The boat had put off from the starboard quarter of Santisima Trinidad when a cat ran out on the muzzle of one of the lower-deck guns and gave a plaintive miaow. Ajax’s boat promptly returned to the stricken ship and carried the grateful creature off to safety. Scratch most mariners and you will find a soft spot for cats. 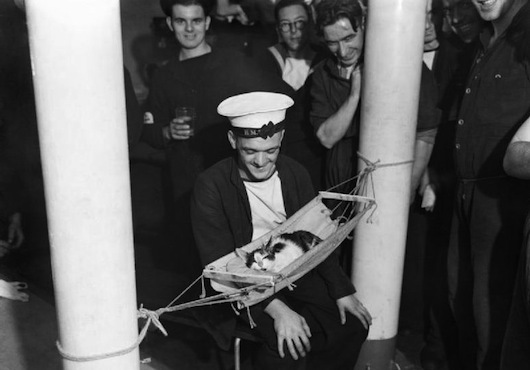 I remember during my own time at sea hulking great engine room stokers lovingly crafting miniature hammocks for the ship’s cat from scraps of canvas. 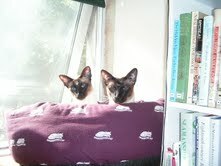 My own two Siamese cats Chi and Ling here act as on call literary muses as I write my novels about the Age of Sail. Despite their undoubted contribution to my daily wordage, sadly they seem to have no sea-going ambitions! Since very early times cats were thought to bring good luck aboard ship, a belief that interestingly crossed cultures. Japanese sailors, for example, favoured tortoiseshell cats, to protect them from ghosts and give warnings of storms. And of course when grains and foodstuffs aboard were stored in bulk, cats were indispensable in keeping rats and mice at bay. Of all the sea-going cats who have enriched people’s lives over the years I’ve picked my favourite three – Trim, Simon and Oscar. 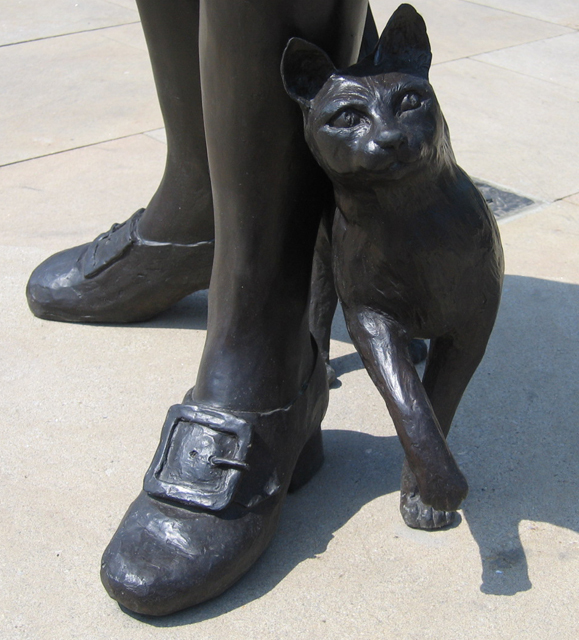 Trim was a ship’s cat, much beloved of the navigator and cartographer Matthew Flinders. Born in 1799, aboard a ship ’roundabout’ on a voyage from the Cape of Good Hope to Botany Bay, the kitten fell overboard, but managed to swim back to the vessel and climb aboard by scaling a rope. Taking note of his strong survival instinct and intelligence, Flinders and the crew made him their favourite. Trim sailed with Flinders on HMS Investigator on his 1801-03 voyages of circumnavigation around the Australian mainland, and survived the destruction of Porpoise on Wreck Reef in 1803. When I wrote COMMAND I took special delight in having my fictional hero Thomas Kydd meet Flinders – and Trim – in the penal colony of New South Wales. When Flinders was accused of spying and imprisoned by the French in Mauritius on his return voyage to England Trim shared his captivity until he unexplainedly disappeared. Flinders believed he had been killed and eaten. Trim was black, with white paws, chin and chest. He was named after the butler in Laurence Sterne’s ‘Tristram Shandy’, because Flinders considered him to be a faithful and affectionate friend. During his incarceration Flinders wrote a biographical tribute to Trim, part of which is quoted on a plaque under a bronze statue of Trim at the Mitchell Library in Sydney, Australia. Simon was born in 1947 in the naval dockyard in Hong Kong. He was smuggled aboard the sloop HMS Amethyst by Ordinary Seaman George Hickinbottom. Aboard ship he was much loved by the crew, including the captain, who only had to whistle and Simon appeared at his side. Simon loved to curl up inside his upturned gold-braided cap when it was not being worn. Amethyst was ordered to sail up the Yangtze River to relieve the guardship HMS Consort who was protecting the British Embassy at Nanking during the Chinese Civil War between the Kuomintang and the Communists. During the voyage Amethyst came under heavy fire from shore batteries on April 20, 1949 and a series of direct hits crippled the ship. Fifteen men were killed, including the captain and many were wounded. Simon was among the casualties with several wounds from shrapnel. The ship ran aground and some of the crew managed to swim to safety but 50 remained on board. HMS Consort came to their aid but also came under heavy fire with casualties. Other rescue attempts resulted in more losses. For more than three months Amethyst was held captive by the communists and denied any supplies, insisting that the captain sign a statement that the ship had wrongly invaded Chinese national waters and had fired on them first. Simon saved many lives by protecting the dwindling food stores from the infestation of rats even though he was still recovering from his wounds. One particularly bold and vicious rat was named ‘Mao Tse Tung’ by the sailors. Simon dealt with him in short order. He also boosted morale in the sick bay by sitting on the bunks of the wounded and allowing himself to be fussed over. His courage was a tonic for the embattled crew who kept a running list of his kills. For war-weary Britons he became a plucky symbol of resistance. Amethyst finally made a run for open waters on July 31 under cover of darkness and broke through the boom at the head of the river at full speed. By the time the ship had returned to the UK on November 1, 1949 Simon had become a celebrity and thousands of letters were written to him. Lt Cdr Stuart Hett was appointed Amethyst’s Chief Cat Officer to deal with his fan mail. Simon was put in quarantine but there he pined for his shipmates and died. He received, posthumously, the prestigious PDSA Dickin Medal, the animal equivalent of the Victoria Cross. Oscar was the ship’s cat aboard the German battleship Bismarck. 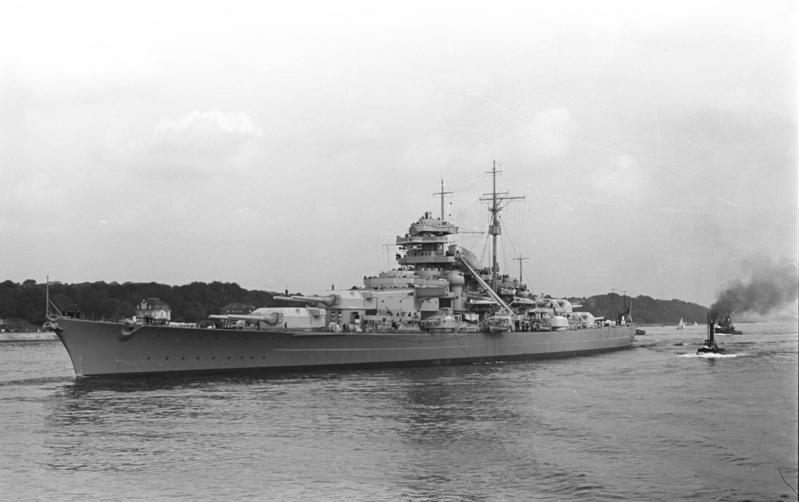 When the ship was sunk in 1941, only 116 out of a crew of more than 2,200 survived. Oscar was found shivering on a plank amidst the wreckage of Bismarck and was picked up by the crew of the destroyer HMS Cossack, which was in turn hit and sunk, a few months later, killing 159 of her crew. Again, Oscar survived. The plucky feline then became the ship’s cat of HMS Ark Royal but shortly after his arrival, the ship was torpedoed and a bedraggled Oscar once again was pulled from the sea, ending up back in Gibraltar. By now he was seen as a Jonah and not surprisingly, offers to return to sea were not hugely forthcoming, but there on land he took up residence in the office of the Captain of the Port. He saw out the end of his days in style in the dockyard, though, as somewhat of a celebrity. He was given a new job as mouser-in-residence at the governor general of Gibraltar’s office. He eventually returned to the U.K. and lived out his years at the Home for Sailors. …Worn out by the trials and challenges of the day, some instinct drove him ever down to seek surcease in the deepest part of the ship. He found himself in the lowest deck of all, stumbling along a narrow dark passage past the foul smelling anchor cable, laid out in massive elongated coils. Kydd felt desperately tired. A lump rose in his throat and raw emotion stung his eyes; utter despair clamped in. He staggered around a corner and just at that moment the lights of a cabin spilled out as a door opened. It was the boatswain, who looked at him in surprise. “Got yourself lost then?” he said. “Nowhere t’ sleep,” mumbled Kydd, fighting waves of exhaustion. “Jus’ came on the ship today,” he said. He swayed, but did not care. He considered for a moment. “Come with me.” He pulled at some keys on a lanyard and used them to open a door in the centre of the ship. “We keeps sails in here. Get your swede down there ’til morning, but don’t tell anyone!” He turned on his heel and thumped away up the ladder. Kydd felt his way into the room. It stank richly of linseed oil, tar and sea-smelling canvas, but blessedly he could feel the big bolsters of sails that could serve as his bed, and he crumpled into their soft resistance. He lay on his back, staring up into the darkness at the one or two lanthorns in the distance outside that still glowed a fitful yellow. Cutting into his surging thoughts, his feral instincts jerked him into full alert. He knew for a certainty that he was not alone. His mind flooded with primitive fears; he sat up, straining to hear. Without warning, a shape launched itself straight at him. He mouthed a scream; but with a low ‘miaow’ there was a large cat on his lap, circling contentedly. Kydd stroked the creature compulsively, again and again, the contrast between its warm furry trust and his recent experiences overwhelming. Thank you for that! I had to forward this post to my wife who adores cats, and two of my pals who served in the US Navy, and also happen to like cats. One of my pals served on a SSBM during the cold war, and I suspect they didn’t allow cats on those boats! Very interesting, I recall when I was on HMS Hecla in 1974, we had a pet cat and if I am correct on HMS Hecate they had a monkey. The following web site is interesting for comments from old salts for pets onboard ships. I had forgotten that excerpt from “Kydd” … Time I started the series again from the start.